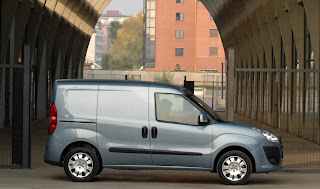 The next Vauxhall/Opel Combo will centre on the outgoing Fiat Doblò and will be produced on the same assembly line at Fiat's Tofas factory in Bursa, Turkey. The current model has been on sale since 2002 and underpins the 2001 Vauxhall/Opel Corsa C platform. GM has no intention of selling the Combo Stateside, despite the success of Ford’s Transit Connect. 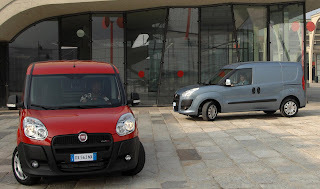 The Combo is likely to borrow its engine of the Doblò. That means a 95bhp 1.4 litre naturally-aspirated petrol engine, 95bhp 1.3 MultiJet, 105bhp 1.6 MultiJet and 135bhp 2.0 MultiJet turbo-charged diesels will be offered. The Tofas plant in Bursa will start building the Vauxhall and Opel variants of the Doblò in December 2011, and the new models will go on sale globally in January 2012. Derivatives will include passenger, commercial and chassis cabs models. The project calls for an initial supply of up to 6,000 vehicles in 2011. The program is planned to cover the supply of at least 250,000 units. This will extend the total lifetime production of this vehicle platform in the Tofas plant to 1.3m units. The Vauxhall/Opel design team in Rüsselsheim, Germany is actively involved in the development of the new models and works in co-operation with the Fiat Group Automobiles’ Engineering and Design Group in Turin, Italy.